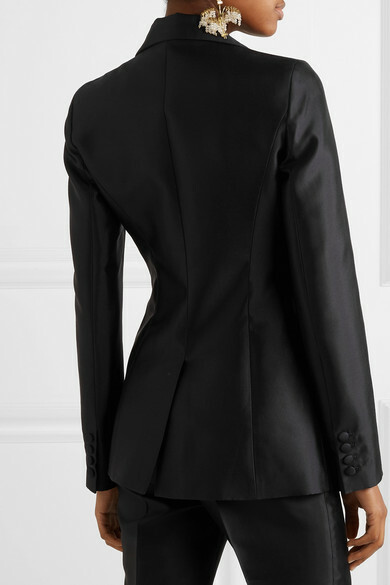 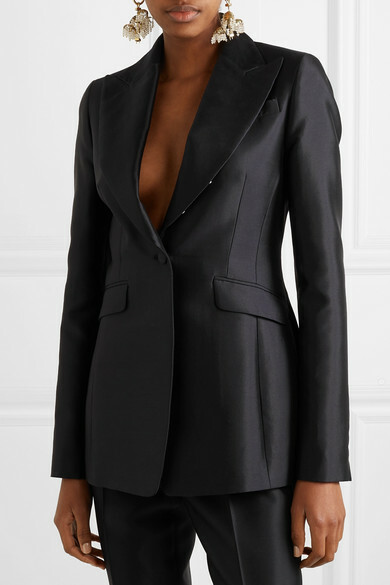 Gabriela Hearst has become a go-to for sophisticated suiting, and with sleek styles like this 'Serge' blazer, it's easy to understand why. 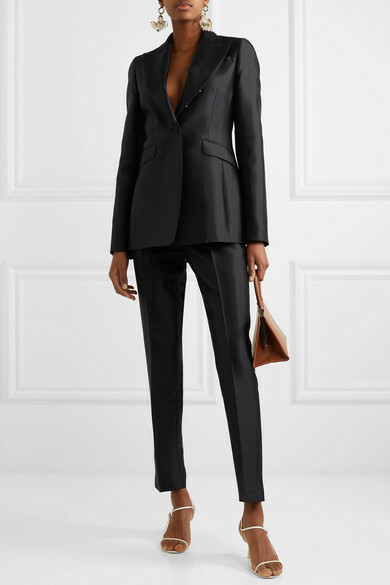 Designed to be worn with the coordinating pants like it was on the Spring '19 runway, it's made from a lustrous silk and wool-blend and fastens with a single covered button to nip you in at the waist. 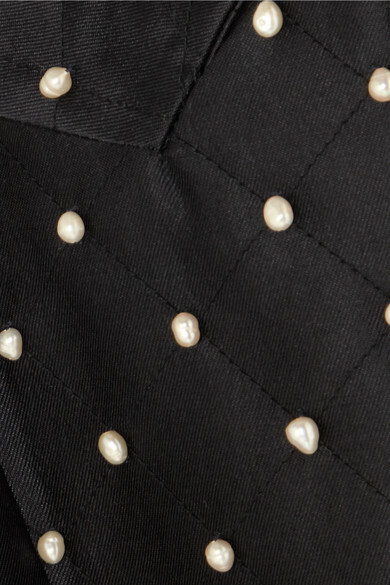 Pop the lapels to reveal the glossy freshwater pearl embellishments underneath. 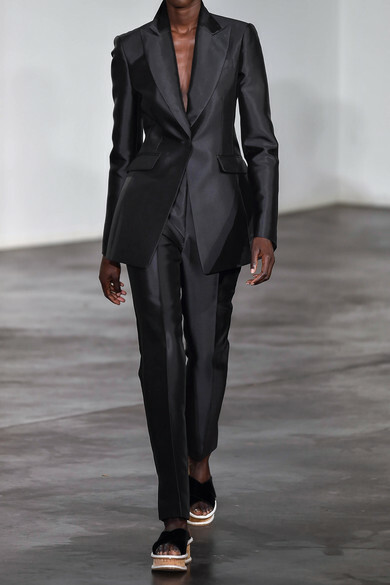 Shown here with: Ratio et Motus Tote, The Row Sandals, Ellery Earrings.